Previous research has shown that when certain strains of probiotics are given to pregnant women from 36 weeks and continued for 3 months after birth, their child’s risk of atopic conditions such as eczema and dermatitis is reduced by a massive 50%. Research also shows that children born to parents with allergies have a much slower ability to colonize their gastrointestinal system with good bacteria that can support their health. Children born to parents without allergies have higher levels of protective bacteria from birth through until they are one year old. New research has now been published that followed mothers and children for 6 years and analyzed their health. The probiotic strain used in the study was Lactobacillus rhamnosus, which is well known for its role in the prevention of eczema. A double blind randomized placebo controlled trial studied 425 high risk infants who all had a parent with allergic disease. The mums were given supplemental L.rhamnosus from 35 weeks of pregnancy and continued taking it until 6 months post birth. All the babies in the supplemented group were given the same probiotic from birth to 2 years of age. When the infants turned two, those who had received the probiotic had a dramatic 50% reduction of eczema and this protective effect was still present at the age of 4. These supplemented children also had a lower rate of rhinoconjunctivitis (runny nose) at 4 years of age. In the latest follow up completed at 6 years of age, the protective effect of L.rhamnosus still remained with a 40% reduction of eczema compared to the control group as well as a 30% lower rate of developing atopic conditions (eczema, hay fever, asthma). Probiotics support immunity by balancing Th1/Th2 immune responses – Th2 overactivity is linked to allergic disease. Supplementing your child with probiotics for the 1st two years of their life helps to balance their immune system and lower their risk of developing eczema, hay fever, and asthma. This beneficial effect lasts until at least their 6th birthday. I have supplemented Sophia with probiotics since the day she was born in a strategic attempt to lower her risk for atopy as I had asthma and food intolerances as a child. My biggest piece of advice is that not all probiotics are the same – different strains do different things so make sure you speak to a naturopath before self-prescribing! 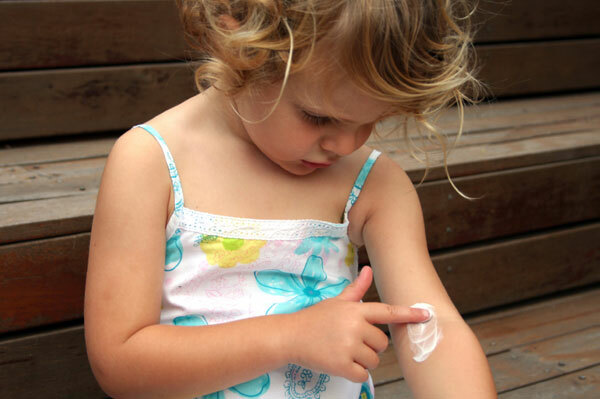 Reference – Wickens K, Stanley TV, Mitchell EA, et al, Early supplementation with Lactobacillus rhamnosus HN001 reduces eczema prevalence to 6 years: Does it also reduce atopic sensitization?